Does your child have as much as £1,000 sitting in an account without knowing it? The government’s now-defunct Child Trust Fund gave newborns from 2002 onwards cash vouchers worth hundreds of pounds – and officials admit that, as the scheme hits its 16th birthday next month, as many as 1m of the 6m funds opened are classed as “addressee gone away”. So how do you find out if there’s a pot of cash you were unaware of, or have simply forgotten about? Our guide will help reunite you with the money. The then chancellor, Gordon Brown, launched them in 2005, back-dating the first to children born in 2002. Every child born after 31 August 2002 was awarded a cash “endowment”. For most, the initial payment, in the form of a voucher, was £250, with £500 to those from the poorest third of families. At seven, they would receive a second voucher, either £250 or £500, depending on parental income. The chancellor said the aim was to ensure “every child has assets and wealth, and that no child is left out”. Didn’t the government scrap them? It did … for children born on or after 1 January 2011 and replaced them with Junior Isas, but these did not come with the £250/£500 vouchers. The bonus paid at age seven was also stopped for those who had reached that age after 1 August 2010. But, crucially, the trust funds already in existence – 6m – were allowed to continue, but without further government contributions. Parents could also “top up” a trust fund. So if a voucher was (mostly) £250, how is it worth £1,000 today? Most of the “free” money in CTFs will be just £250, plus interest or dividends. But babies born between 31 August, 2002 and 31 July 2003 into low-income families should have a fund worth £1,000. According to the Share Centre, which is coordinating an awareness campaign around the issue, children from the poorest homes are the worst-affected by this “addressee gone away” problem. How do I find out if my child had a Child Trust Fund? It should only take a few minutes to put in a request to HM Revenue & Customs. Go to the gov.uk website and follow the links. You will need a “government gateway” ID. Once you have submitted your request, HMRC promises to get back within 15 days. Can my child take the money now? No. Not until they are 18. But at 16 they can take control of the account. Can they blow it on what they like? Yes. So if they spend the lot on an iPhone X (RRP £999) there’s little you can do. How much have the funds earned? A mixed picture. 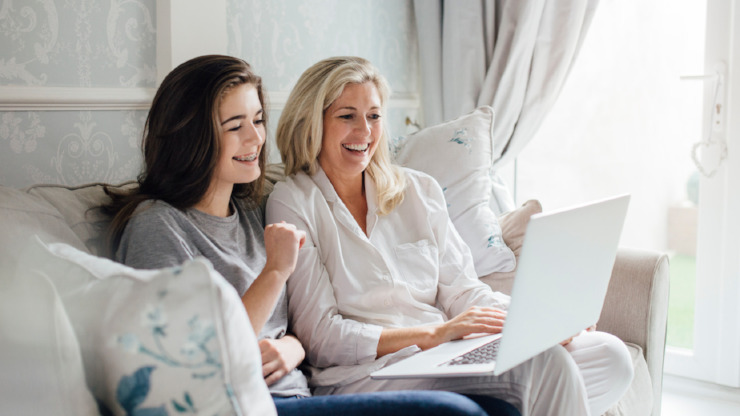 Parents could either open a Child Trust Fund at a bank or building society – and leave it to earn interest – or put it into a stock market-based fund. In 2005, Abbey (now Santander) offered 5% interest (those were the days) and Nationwide 4.75%. Rates have fallen, but remain surprisingly high compared with most other accounts: Nationwide is paying 3.25%, and Santander 1.75%. A £250 voucher opened on the day the scheme launched at Santander (but now managed by One Family) is now worth £318.50. Stock market funds have mostly doubled their money. Analysis by Investment Life & Pensions Moneyfacts and research firm Lipper reveals F&C Investment’s All-Share Tracker has done best, with a return of £644 on the initial £250, a creditable 7.5% a year. The worst was Lloyds TSB’s Baby Bond, which returned £492. This article was written by Patrick Collinson from The Guardian and was legally licensed through the NewsCred publisher network. Please direct all licensing questions to legal@newscred.com.